Born and raised in Philadelphia, Judith Lorick has lead a fascinating life. Growing up in a musical home she was handed down a deep love for jazz, fondly remembering her mother regularly playing records from artists like Billy Eckstein, Ella FitzGerald, Nancy Wilson, and so many more. When she initially set out to pursue a career in jazz, Lorick found herself deeply discouraged after a bad audition, and quit performing for 13 years. She eventually moved to Southern California after receiving a major promotion that would make her the VP at a major company, but life in the corporate world failed to satisfy. Realizing that making music was her true passion, she chose to return to music full time. Now, with The Second Time Around, Lorick seeks to tell a story of love lost and then found through ten of her favorite ballads. The Second Time Around is Lorick’s second album in about 20 years, and she wants it to be known that she has a story to tell. 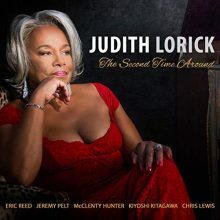 Produced by renowned pianist Eric Reed, this album was inspired by all of the “seconds” that Lorick has recently experienced, this being her second release as well her second time working with Reed. But the most important story she wishes to tell is that she is once again sharing her life with a man she separated from over 40 years ago. The two met on a blind date in college in 1967; “Things were perfect for a while, then he was sent to Vietnam, only to come home broken,” Lorick explains. The two would not meet again until 2014. Every standard on this album is meant to tell a piece of their story, from the joyous beginning with selections like “Why Did I Choose You.” This selection truly stands out among the rest as Lorick immediately grabs your attention with a tone so clear and present that it is reminiscent of Miles Davis with a Harmon mute. The Second Time Around is beautifully sung story of Lorick’s love, as she invites the world to experience her journey joy, her pain, and her artistry. 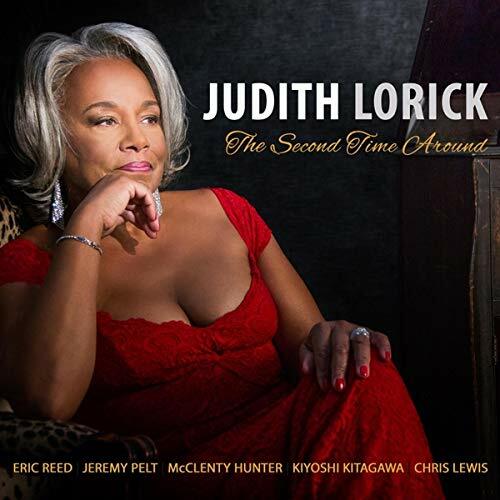 This entry was posted in Jazz and tagged CD review, Jared Griffin, Jazz, JLJ International, Judith Lorick, The Second Time Around by aaamc. Bookmark the permalink.